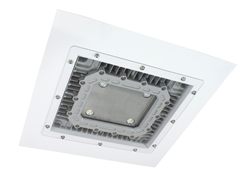 Longtime leader in commercial and industrial grade lighting equipment, Larson Electronics has announced the release of a 50 watt hazardous area LED light fixture designed for recessed panel mounting. Featuring LED technology and a compact design, this fixture is an excellent upgrade option for replacing existing metal halide lights. The HALD-24-1X50LED hazardous area LED light fixture from Larson Electronics is designed to provide operators with a powerful and energy efficient alternative to traditional hazardous location luminaires. 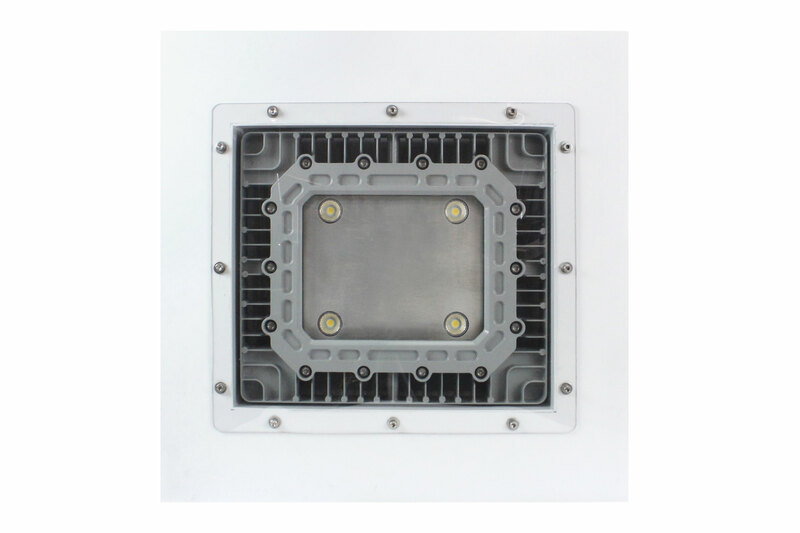 This explosion proof fixture is a 2x2 Class 1 Division 1 explosion proof lay-in LED light panel with a T5 temperature rating and is a fully integrated LED unit. The LED assembly is protected by an aluminum frame, hinged, 3/16” thick poly-carbonate door that provides direct front access to the internal components. The lamp housing is designed for recessed mounting, and is constructed of non-sparking aluminum powder coated to a white finish. The integrated LED assembly in this unit features multiple LED drivers which help increase the operational life of the fixture. The LED fixture provides 5,834 lumens of light while drawing only 50 watts of power. The aluminum body and LED lamp give this light excellent durability and resistance to vibration and impacts. The housing is specially designed to dissipate heat which increases the efficiency and lifespan of the LED luminaire. The fixture is designed for recessed mounting and requires a mounting hole to be made in booth panels capable of accommodating the fixture housing to provide the maximum amount of space in paint spray booth enclosures. Once mounted, the fixtures door frame will extend 3/8” into the spray booth. 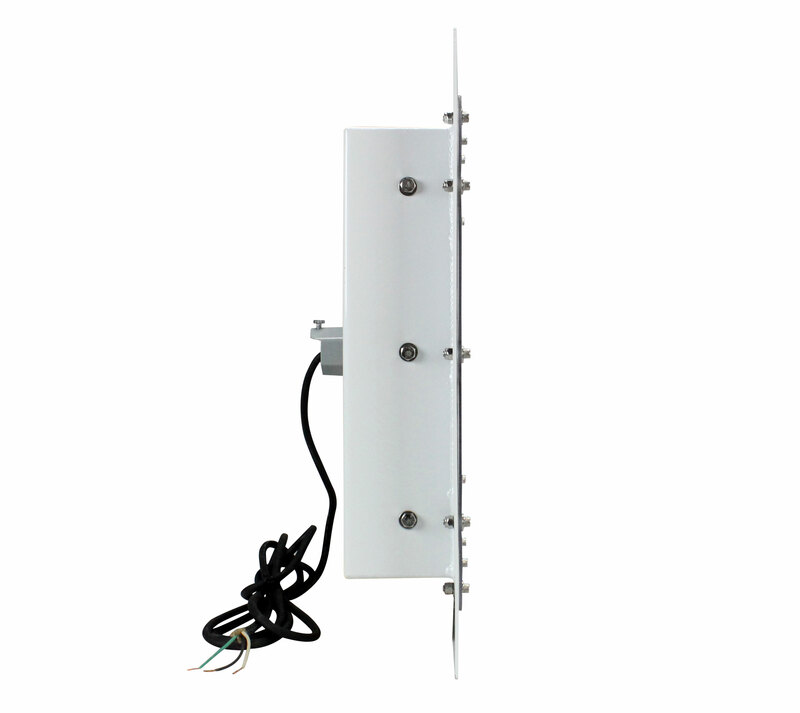 This light is multi-voltage capable and can be operated with 100-277 volts AC without any need for a special ballast. Larson Electronics carries an extensive line of LED light towers, portable power distribution systems, explosion proof lights for hazardous locations, portable work lights and industrial grade LED area lights. You can view the company’s entire line of lighting by visiting them on the web at LarsonElectronics.com. You can also call 1-800-369-6671 to learn more or call 1-214-616-6180 for international inquiries.